Warmer weather brings about an increase in construction in northeast Ohio, from the legendary “orange barrels” that greet commuters to the lane closures brought on by the renovation and rehabilitation of downtown structures. 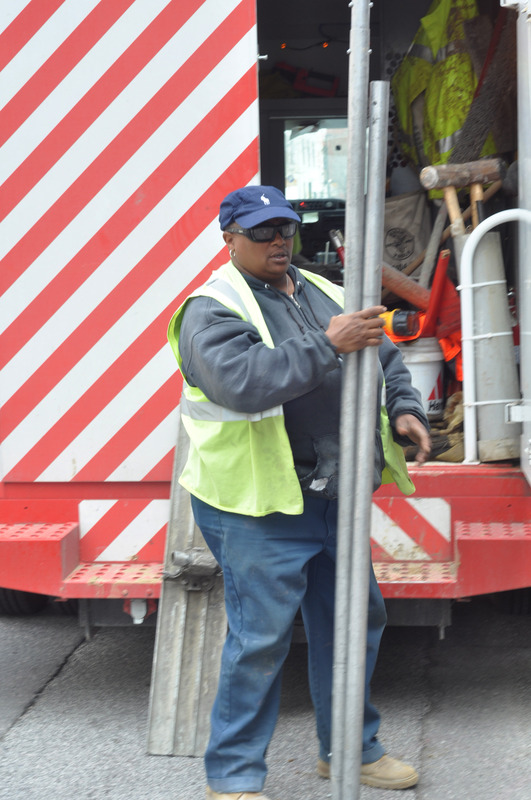 This week we caught up with Cleveland Public Power crews splicing cable on E. 9th and Euclid and another crew pouring and finishing concrete just a block up on E. 9th and Prospect. A renaissance is taking place in Cleveland and CPP crews are working hard to get the job done! CPP Cable Splicer Bill Baran splices cable in a manhole on E. 9th & Euclid Avenue. Cleveland Public Power Cement Finisher Theresa Harris gathers tools to finish a block of concrete on E. 9th & Prospect. for? you made blogging glance easy. The total look of your site is wonderful, as smartly as the content material!